Americans probably dread no day more than April 15: income tax deadline. For many people, the annual tax filing ritual is a frustrating exercise in organizing hundreds of scattered financial records. Even if you're due a refund, it still means hours of poring over numbers to prove it. However, a growing number of software publishers are offering help via tax-preparation and tax-planning software. Filing your income taxes seems so easy when you only have a part-time job in high school. You get one form from your employer, write a few figures on the short form, mail it in, and get back a check. When you first start working full time, it's still pretty simple. The short form suffices for a few years, since you haven't yet reached a tax bracket that claims very much of your income. But your salary keeps inching upward, and you start to see the percentages shift. Less money for you, more for the government. Unless you buy a house. Or have children. Or invest in tax shelters like Individual Retirement Accounts (IRAs). Whatever your situation, you've probably found tax preparation more troublesome each year. But there are options. You can buy books prepared by experts to help you legally find as many breaks as possible and streamline the process of filling out the forms. Or you can take all of your shoe boxes and file folders into a tax service and pay them a fee to sort through it all. Home computer software offers another alternative. Help with tax preparation and planning is available in three different formats. 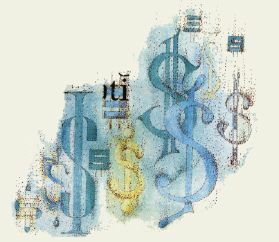 Some personal finance programs contain a section for entering tax information that can be tallied at the end of the year. Some have companion tax programs that are integrated with the main package. And a few stand-alone products are devoted solely to income tax preparation. There's no way to completely avoid some fundamental understanding of tax laws. Even if you go to a tax service, you still have to know what information your preparer will need. And all through the year, you'll need to keep track of pertinent paperwork. 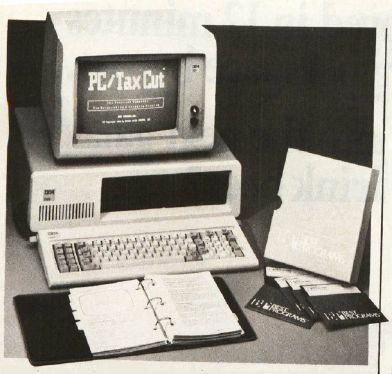 A computer, however, offers some significant advantages over traditional tax preparation methods. For example, with a computer you can easily ask what if? Let's say that when you sat down to do your taxes last March, you found that you owed $1,000 on top of what you had been paying in all year. Tax programs can help you make sure the additional payment is necessary by suggesting alternatives, and by re-figuring the taxes as many ways as are legally possible. Managing Your Money, designed by financial expert Andrew Tobias, is a very easy-to-use personal finance package. If you enter pertinent financial information regularly, it can help determine the most advantageous way to file your income tax return. For example, what if you income-average? If your salary took a recent dramatic upswing in the last year but you have no more deductions to claim than you did a year ago, you're likely to be sending a sizeable check in with your return. Plus you'll be charged a penalty for underpaying during the year. But if you were to income-average, you could end up getting money back. How about tax-deductible expenses? Did you move in the last year; have unusually large medical bills; or buy a new car and a new house and pay a lot of interest? Tax software alerts you to any possible deductions. These programs can also remind you of income that must be claimed for tax purposes, such as capital gains, freelance work, or income tax refunds from the previous year. Again, if you're familiar with tax Jaws, you'll know these things already. If you're not, you'll learn. And you will be better equipped for the next tax year. Income tax software cannot prevent the annual tax preparation marathon if you haven't kept good records throughout the year. Many personal finance software packages offer ongoing accounting, making it much simpler to gather the necessary information when it's tax time. Managing Your Money, designed by financial expert Andrew Tobias for the Micro Education Corporation of America, has that capability. You can either estimate your annual income and deductions, or pull up actual figures from elsewhere in the program. The program suggests different tax strategies to try—like filing singly instead of jointly—and can figure and refigure your taxes in seconds. It also prints out much of the documentation you'll need to submit to the IRS. Your Personal Net Worth, from Scarborough Systems, and Timeworks' Your Personal Financial Planner (designed in consultation with Sylvia Porter) have similar features. If used regularly to keep track of income and expenses, a few keystrokes will sort out necessary tax information. Also, some publishers offer companion programs to their personal finance software, specific tax programs that accept information from the main program to tally taxes. Arrays, Inc./Conrinental Software publishes The Home Accountant for general financial tracking, along with The Tax Advantage, for computing tax liability. Swiftax, from Timeworks, is a stand-alone income tax preparation package. It guides you through the process and tells you which forms must be completed. It automatically checks for tax alternatives, and calculates the lowest possible tax. It supports the most commonly used schedules—A, B, C, D, W, SE, and Form 2441—and plugs this information into your Form 1040, 1040A, or 1040EZ. And when you're finished, the program can print out directly onto tax forms, as well as printing additional necessary information such as amortization schedules. Timeworks issues an annual updated program disk for Swiftax, incorporating revised tax law changes and tables. How you choose to prepare your tax returns probably depends on a number of things. If you have only one source of income, no dependents, and own no property or other investments, your tax calculations will not be that difficult. Spending $100 for software that you will use once may not be money spent wisely. PC/TaxCut, from Best Programs of Alexandria, Virginia, can be used by individuals, professionals, or small businesses and is capable of handling very sophisticated tax forms. First introduced in 1982, the program has been updated annually. PC TaxCut can be used as a stand-alone tax planning and preparation package or with Best's personal financial management system, PC/ProfessionaJ Finance Program. 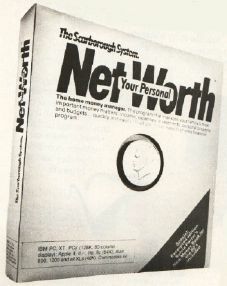 Scarborough Systems' Your Personal Net Worth does not include a fixed set of categories for financial accounts. Instead, it lets you create accounts for your own individual expenses. 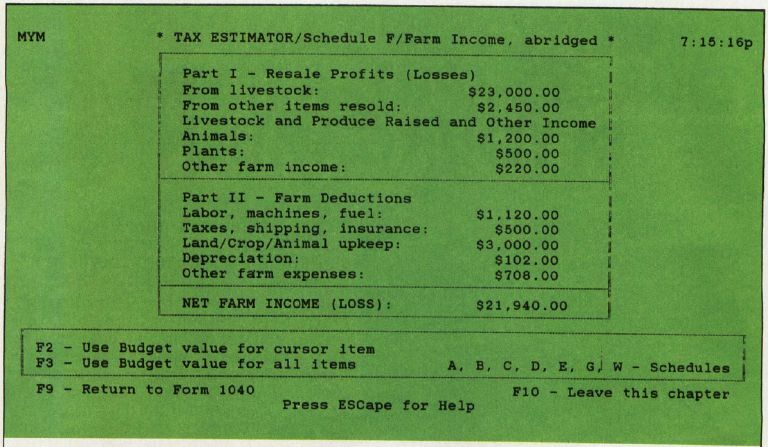 Each time you make a financial transaction, the program asks if you want a tax record. If you do, it records the relevant parts of the transaction, flagging deductible expenses and interest on loans. Your Personal Net Worth also keeps track of all sales tax paid on nondeductible items. When tax time rolls around, the program gives you totals for each area to ease the burden of preparing your return. • Does it contain all the forms you'll need to file? Most programs have all of the standard, and some nonstandard, schedules. But if the program is missing a crucial one, it may be worthless to you. • Can it print directly onto legal tax forms? Some do, but many just print final figures onto regular paper, requiring you to go back and transfer all the numbers to a form. This may not be terribly important to you, but it's a nice timesaver, and it prevents transcription errors. • Can you be reasonably sure that the publisher will supply updates over the next few years? If using software for your taxes is just an experiment, or a temporary measure to get you through a bad year, this isn't so vital. But if you're looking for a permanent solution, you'll want to ascertain that the software will be kept current as laws change. • How extensive are the program's what-if capabilities? This is key to the usefulness of a tax program. A good program will point out options that will, if possible, lower your tax bill. • How thorough and simple is the documentation? As with any complicated software package, clear, complete instructions are essential. A program with bad documentation may actually add hours to the time it would take you to figure your taxes by hand. Good documentation will reinforce its software by alerting you to tax laws and alternatives. • Is it worth the expense? Bottom line. If you don't expect to find enough hidden refund money to recover more than the cost of the package, it may not be worth it to you (unless you just want to computerize your tax records). Though these programs can be very helpful to consumers in completing an often complicated annual task, they can be quite a headache for the developers and publishers who must insure their accuracy. After all, these software packages are being used to compile reports made to federal and state governments. Current, legally correct information is essential. But in the end it's your name on the form. It doesn't matter to the Internal Revenue Service how a return is prepared, only that it is correct. "We don't take any position for or against the programs," says Ernest Acosta of the IRS. "Like with anything you do with a computer, the information that goes into it is what determines whether it's going to be successful or not. You should remember that you're the one who signs the tax return. Ultimately, it's your responsibility to make sure it's correct. "On the whole, they're probably a good idea for people who know how to use them. You still need some tax knowledge to go through and know exactly what you're being asked to input. It's certainly not a substitute for following the instructions and keeping good records and all the other things you would have to do to keep up with your taxes."